Pray for Jim and Judy to stay focused on God and His plans above all else. But seek first the kingdom of God and His righteousness, and all these things will be provided to you (Matthew 6:33). 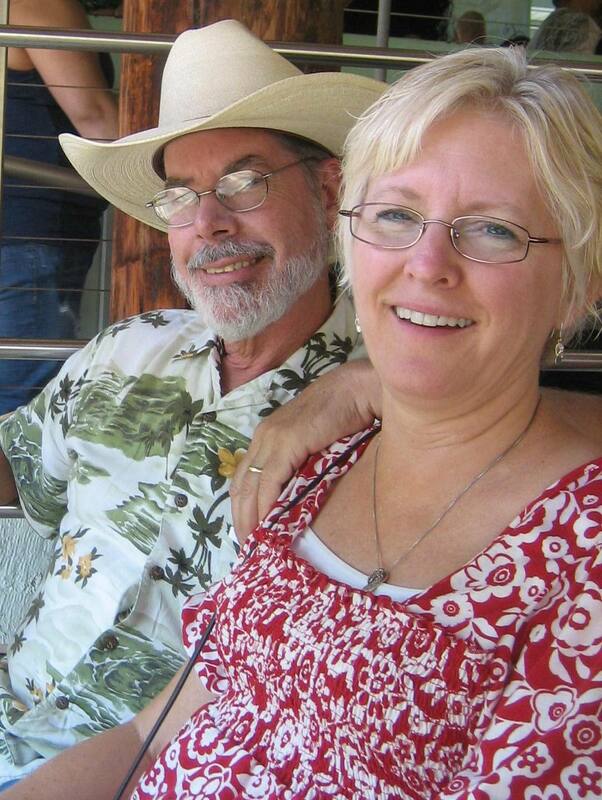 Pray for Jim and Judy to spend time in the Word and ask God to give them discernment. Pray for Jim and Judy to regularly seek examination by God and to repent from any errors that have crept into their lives. Search me, God, and know my heart; test me and know my concerns. See if there is any offensive way in me; lead me in the everlasting way (Psalm 139:23-24). Pray for Jim and Judy to have a spirit of humility and to willingly ask God for wisdom in carrying out their assignment. Now if any of you lacks wisdom, he should ask God, who gives generously and without criticizing, and it will be given to him (James 1:5). Pray for Jim and Judy to be so renewed by God’s Word that no sin will have dominion over them. Pray for boldness and passion while doing partnership development; when Judy is doing recruitment and Jim working with the retirees. Pray also for me, that the message may be given to me when I open my mouth, to make known with boldness the mystery of the gospel (Ephesians 6:19). Ask God to help Jim and Judy recognize their need for weekly rest away from ministry responsibilities. He said to them, ‘Come away by yourselves to a remote place and rest a while’ (Mark 6:31). Pray for Jim and Judy to stay focused on the ministry they’ve been called to and not be distracted by issues of the day. Hold on to the pattern of sound teaching that you have heard from me in the faith and love that are in Christ Jesus. Guard, through the Holy Spirit who lives in us, that good thing entrusted to you (2 Timothy 1:13-14). Pray for Jim and Judy to model a life of dependence on God. Trust in the Lord with all your heart and do not rely on your own understanding; think about Him in all your ways, and he will guide you on the right paths (Proverbs 3:5-6). Ask God to give Jim and Judy the grace to know how to respond to each person. Pray for a spirit of unity as Jim and Judy work together and with other ministry partners. Pray for Jim and Judy to be quick to take the escape God provides when temptation sneaks up on them. God is faithful and He will not allow you to be tempted beyond what you are able, but with the temptation He will also provide a way of escape, so that you are able to bear it (1 Corinthians 10:13b). Pray for Jim and Judy to take personal prayer retreats to get their direction from Him. Pray for Jim and Judy to stand firm under affliction, when discouragement hits and to look forward to eternal glory. For our momentary light affliction is producing for us an absolutely incomparable eternal weight of glory (2 Corinthians 4:17). Ask God to help Jim and Judy protect their time for prayer and personal mediation in God’s Word. Pray for Jim and Judy to maintain their devotion to Christ. But I fear that, as the serpent deceived Eve by his cunning, your minds may be corrupted from a complete and pure devotion to Christ (2 Corinthians 11:3). Ask God to teach Jim and Judy to hear His voice and follow Him. Pray for Jim and Judy to be quick to give God the credit. Pray for Jim and Judy to get their direction from the Lord only. I am the Lord your God, who teaches you for [your] benefit, who leads you in the way you should go (Isaiah 48:17). Pray for Jim and Judy to give all their anxious thoughts to the God and rest in His peace. Pray for Jim and Judy to enlist personal prayer support and ask God to call faithful intercessors to respond. So Peter was kept in prison, but prayer was being made earnestly to God for him by the church (Acts 12:5). 24. Eyes to see like Jesus Ask God to give Jim and Judy eyes to see as He sees and empower them to love the unlovely, the rejected, and the outcasts as Jesus did. Man does not see what the Lord sees, for man sees what is visible, but the Lord sees the heart (1 Samuel 16:7b). Pray for Jim and Judy to model loving God completely and others as themselves. Love the Lord your God with all your heart, with all your soul, with all your mind, and with all your strength (Mark 12:30). Ask God to give Jim and Judy a hunger and thirst for Him and for His word. But solid food is for the mature- for those whose sense have been trained to distinguish between good and evil (Hebrews 5:14). Pray for endurance, stamina, and pacing for Jim and Judy to insure long-term, fruitful ministry. Ask God to build strong support teams who will come alongside Jim and Judy in their work and that God gets the glory. So then neither the one who plants nor the one who waters is anything, but only God who gives the growth… for we are God’s co-workers…(1 Corinthians 3:7-9). Pray for Jim and Judy to love and obey God, and to be known for their dependability to obey regardless of outside pressure. If you love Me, you will keep My commandments (John 14:15). Ask God to empower Jim and Judy to be healthy in mind, body, and spirit. Please pray for Jim and Judy’s children: Their spiritual walk with God. Jody – 28 has our first grandchild, due Nov. Pray for her health and well being. Caleb, her husband, that God keeps him safe and helps him be the godly leader they need. Josh – 26 student, pray he can stay focused and get school done. Pray also for the relationship he is in, that it will glorify God. Jordan – 22 student, pray that he stays focused and gets school finished. Previous Previous post: "Is this the best way to do this?" Next Next post: What if it was almost in your language?